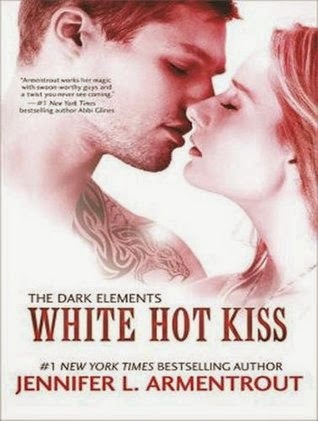 White Hot Kiss is the first book in The Dark Elements series by Jennifer Armentrout. Available at Amazon, Barnes and Noble, and BooksAMillion. (Note: These links are for the audio versions of the story). Raised among the Wardens--a race of gargoyles tasked with hunting demons and keeping humanity safe--Layla tries to fit in, but that means hiding her own dark side from those she loves the most. Especially Zayne, the swoon-worthy, incredibly gorgeous and completely off-limits Warden she's crushed on since forever. Then she meets Roth--a tattooed, sinfully hot demon who claims to know all her secrets. Layla knows she should stay away, but she's not sure she wants to--especially when that whole no-kissing thing isn't an issue, considering Roth has no soul. I received a free audio copy of this story in exchange for a review. I've heard about Armentrout for years now, being that she's from my home-state, but never read her because romance isn't top-priority on my reading list. And this is very clearly a romantic story. You know that scene in The Princess Bride when Fred Savage asks, "Is this a kissing book?" What's weird is that I thought that and a few chapters later, one of the characters references the movie. Take that as you will. So, I started this story listening to the audio version with my husband while traveling. We made it to chapter four before reaching a stop on our trip. At one point, we back-tracked on the audio to determine if the narrator said nachos or noxious (it was noxious). When our trip resumed and I mentioned starting the story, my husband groaned and asked if we could listen to music instead (his main complaint, he didn't like the narrator). And I was with him on that - I came home and bought the digital version of the story because I can read faster than the narrator speaks. I much preferred reading the story over listening to the audio. Most of the mythology behind the story is Judeo-Christian. This set of myths (no spoilers) used to be more arcane but, in recent years, they've made a come-back inspiring romance novels geared for the young adult/new adult markets. Familiarity with the mythology makes it easy to guess where some of the future story-lines may be headed (which can draw some people back, checking to see if their guesses are accurate). The religion also influences the way certain issues, like female promiscuity, are presented. I've already purchased the second book in this series because I want to see what happens with Roth. He's my favorite character.